Your friendly web-slinger was away on an extended road trip, so we’re playing catch-up. Here’s the first clutch of articles about significant events over the past couple of weeks . 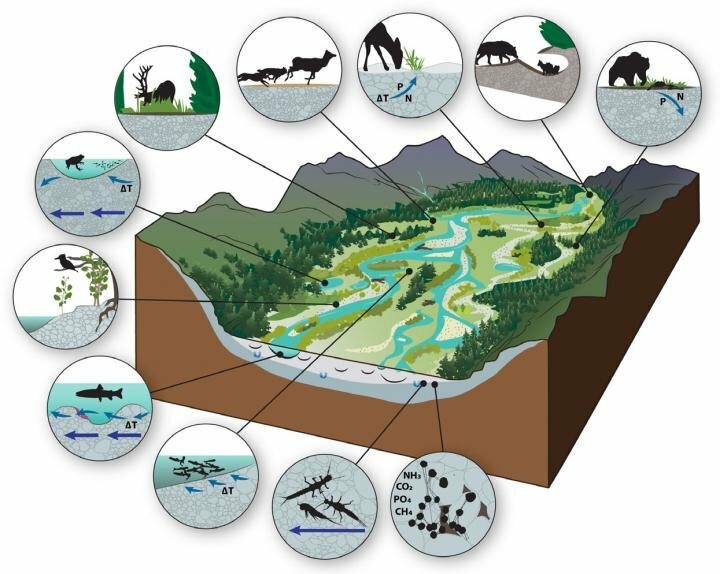 . .
Elk River poisoned by coal mining – Dr. Ric Hauer of the Flathead Lake Biological Station of the University of Montana issued a March 2, 2013 study comparing water quality in the Elk and neighbouring Flathead River Basins. Commissioned by Glacier National Park, the study found nitrogen levels at 1,000 times the background rate, sulphate levels at 40-50 times the background rate and selenium levels at 7-10 times background rate (p.2). The researchers tested above and below mines and used the pristine water quality of the nearby Flathead River to determine background levels and ascertain what aquatic life would normally be present in the Elk River were it not so polluted. Continue reading . . .
FWP: Montana’s wolf population drops 4 percent – At least 625 wolves inhabited Montana at the end of 2012, a 4 percent population drop compared to a 15 percent increase the year before, according to state wildlife managers. The minimum wolf count is the number of wolves actually verified by FWP wolf specialists. The latest population estimate came while Montana Fish, Wildlife and Parks comples the federally required annual wolf conservation and management report. The report is expected to be available online by April 12. Continue reading . . .
Agency to target fish in five creeks – Montana Fish, Wildlife and Parks will continue efforts to suppress rainbow trout and hybrid trout populations in the upper Flathead River system. Region One Supervisor Jim Satterfield signed a finding of no significant impact for the work Monday. That basically approves plans to continue removing hybrids and rainbows from the mouths and channels of Abbot, Sekokini, Rabe, Ivy and Third creeks in the main stem Flathead and North Flathead rivers. Continue reading . . . The Flathead Beacon posted a tardy, but well-written article covering both of the North Fork’s recent “endangered river” designations . . .
As the threat of large-scale mining continues to bear down on the headwaters of the Flathead River Basin – and as funding for conservation research hits a snag – Ric Hauer believes the North Fork Flathead River’s recent designation as one of the most endangered rivers in North America arrives with appropriate timing.